In the Gentges family, gymnastics is a family affair! 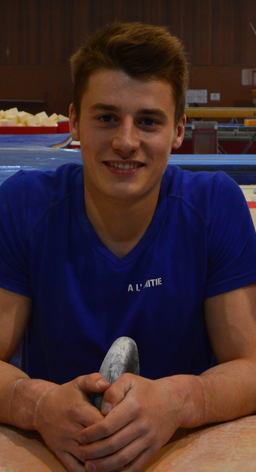 Maxime has followed the footsteps of his older brother, Gilles, and chose gymnastics. Like Gilles, again, Maxime trains at the Elite Centre in Mons, center he joined in January 2009. He then left his club structure (GC Malmedy) for an elite one. In 2011 and 2012, as a junior gymnast, Maxime Gentges performed very well. He finished twice in 4th place at the Belgian championships and represented his country at the European Youth Olympic Festival, where he won the bronze medal on pommel horse. 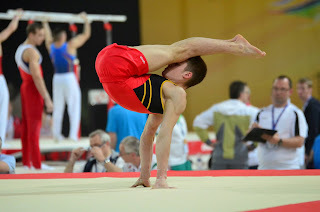 At the European Junior Championships in 2012, he was 5th with the team and finished 24th in all-around final. 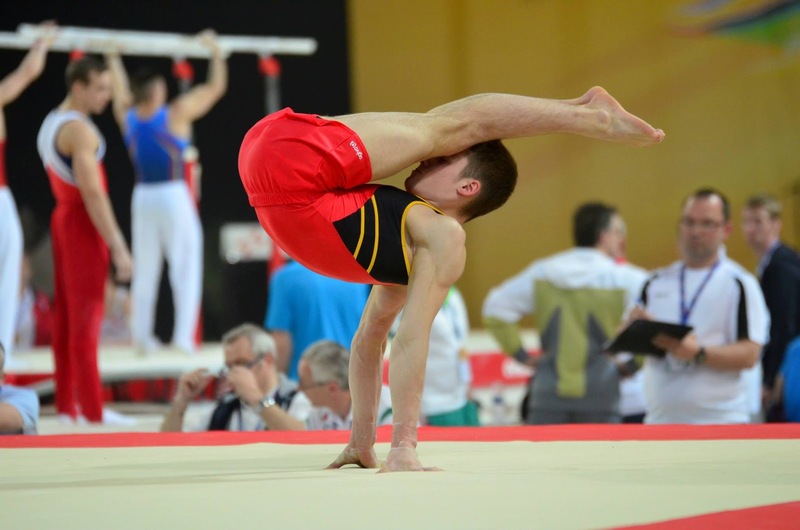 In 2013, now a senior gymnast, he finished 2nd at Nationals. He then flew to Kazan for the Summer Universiade. 2014 is a busy year for him, since he was part of the Belgian delegations that were sent to the European Championships in Sofia and the World Championships in Nanning, where he contributed to the beautiful 19th place finish with the team, a ranking that qualified Belgium for the World Championships in 2015, a first for the Men's team from Belgium. This year, he won the silver medal at the national championship and again advanced to the all-around final at the European Championship, his first all-around final since he joined the senior ranks. A few weeks ago, he was a member of the team sent to the Summer Universiade in Gwangju, where he finished 18th in the all-around and 8th with the team. Great results before a possible selection for the World Championships that will be held in Glasgow in October.